My new team member informed me today that she had never tried a protein bar. After picking my chin up off the ground, I set out to fix this. 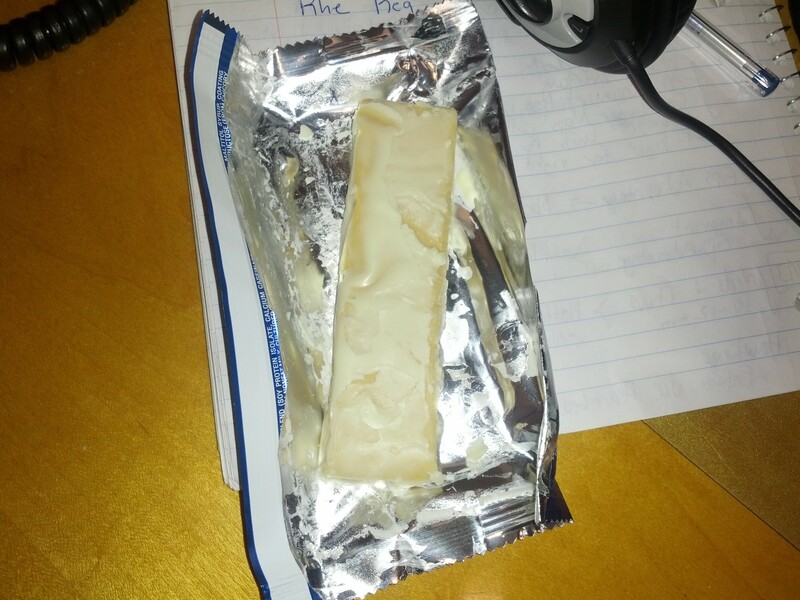 Lucky for me, our CEO had provided me with a protein bar to try & review for the blog. Rather than bringing this home, I opted to keep it at work in case I got hungry. Over the years, protein bars have become a basic staple in my life. From back in the day of enjoying Balance Bars, to my transition through EAS Bars and finally to my landing of Pure Protein Bars, I’ve eaten a lot of bars. One variety in which I have only had a few times, is PowerBar. The basic staple and one that is surely here to stay. Lucky for me – and my team member – PowerBar was On the Menu. This PowerBar is in the 3-Series which is meant for After Workout. Boasting 20g of Protein and 210 Calories, this thing could easily be a meal. I was excited to try this and opened the bar up when we were feeling hungry. I noticed that the exterior of this bar was pretty similar to the millions of other bars out there. The coating was vanilla in color (well, no actually…vanilla is not this color…it was the color of vanilla ice cream) and this thing had a pretty hefty look to it. I broke off a piece for me, and a piece for my team-mate, and we dug right in. 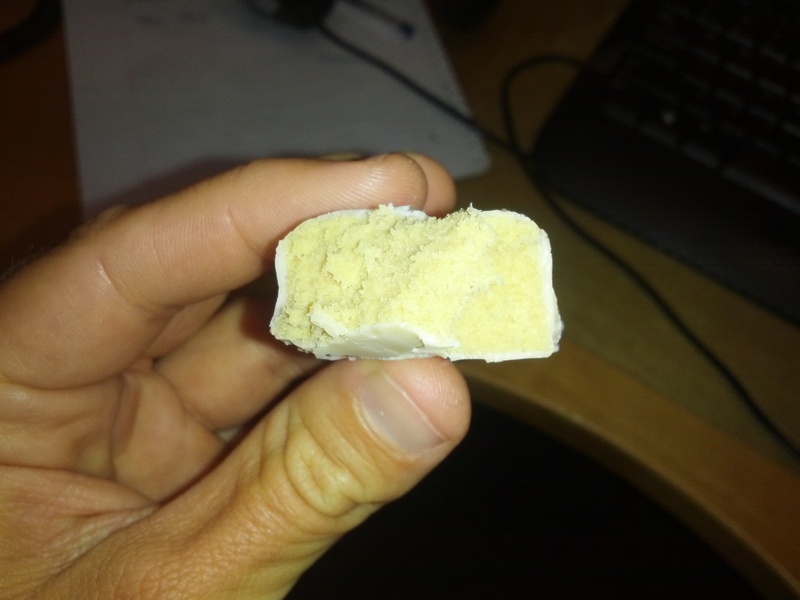 I found the consistency of this bar to be total par for the course – chewy, soft and some what textured. The flavor of this bar was very, very mild. I found this to be a good thing as sometimes the flavors are so fake, that they taste as if they are over flavored. After eating my piece, I felt satisfied and was left without any funny aftertaste. I went in for another piece and even a third, enjoying all of my sampled bites. While the flavor did not scream vanilla, it also did not scream processed. I felt content with the flavor and, with my huge dosage of protein, ready to take on the day. 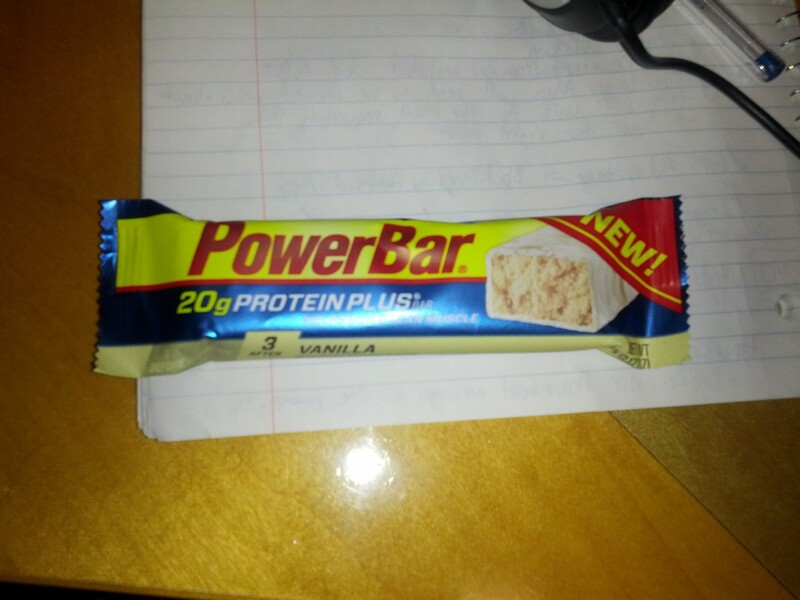 PowerBar makes a pretty good protein bar and I would have no problem eating this again. If I did reach for this variety, I would be sure to eat it after a workout. There is nothing like some good ol’ protein after a long hard workout. The Vanilla flavors may not stand out but, they provide just enough flavor to the chewy & soft consistency of this bar. My team member has not indeed tried a protein bar and I think I deserve a pat on the back for that. And thanks to our CEO who let me put this Vanilla PowerBar, On the Menu. How many grams of sugar in this trinket of goodness?